Yes, learning to draw with very few skills is indeed possible, and not rarely at all. You may not have direct talent in drawing, but it is a skill that can also be learned by anyone. There are many people who have been drawing since they were toddlers but not everyone starts that way. So, drawing can be learned by anyone, and anyone can drawing better if they improve their drawing skills. Drawing is the basic of all forms of art creation. It doesn't matter if you consider yourself a painter, painting maker, or sculptor, drawing is part of those process. And we can get the benefit if we upgrade our drawing skills. 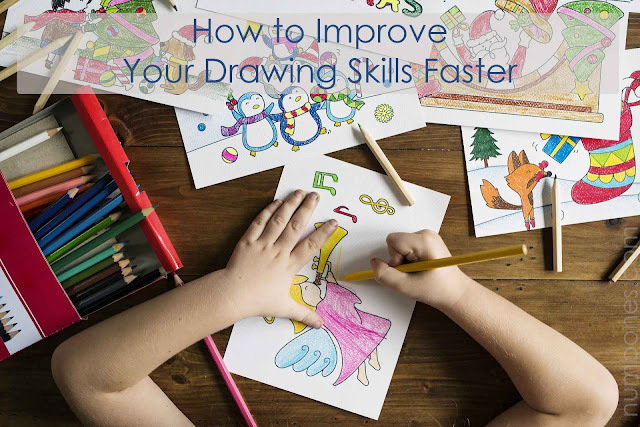 Even though we already have high-level skills, we still want to improve our drawing ability to be better. Unfortunately some people still think that drawing is an innate ability that some lucky people have, even though drawing is something everyone can do. Some people believe that there are certain limited skill levels, and they think when they reach that level, they can no longer enhance their drawing skills. Then they made various reasons why they couldn't draw better. Believe me, I think I've heard all this despair. Actually, drawing is a skill that only requires a little knowledge and some practice. To master any skill, knowledge and training are needed. The problem is that many of us don't know how to develop our drawing skills. Some people can accept that drawing is a skill that can be learned, but most of them don't know how to improve their skills. Some of them go to YouTube to see various endless videos that teach us concepts or show interpretations of one subject. They can take something that is "attached" and that can be applied to their own work, but often they just feel motivated without a real direction. But honestly, the truth is that learning to draw effectively is sequential. If we learn to draw sequentially, the concepts will built on one another and seem more reasonable. If we study the concepts in "pieces" in no clear order, it will be more difficult to understand how they all fit together. Remember your math class. I'm sure you spend quite a lot of time practicing additions before you start practicing subtraction. Practicing is how the concepts of drawing skills are made practical. Learning how to improve drawing skills is the same. If the concept of drawing is introduced in no clear order, improving your drawing skills may be confusing and may not be achieved. 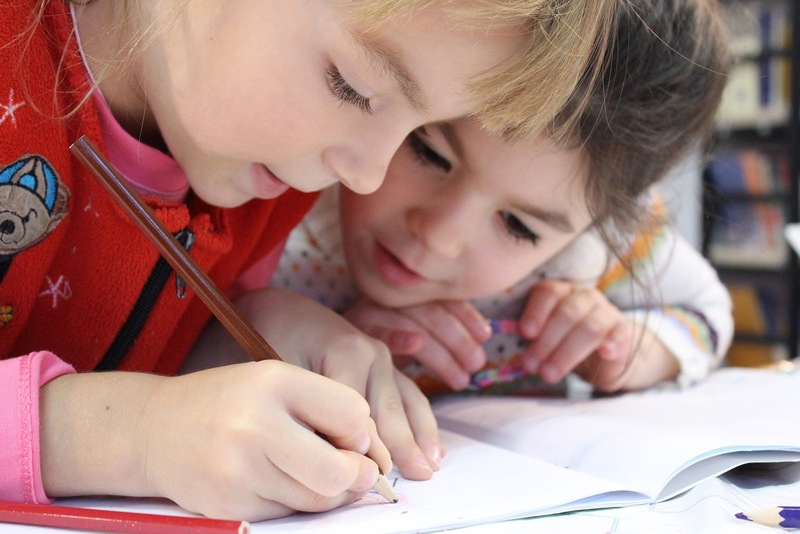 Because learning how to draw is more effective when studied sequentially, it makes sense that to practice your drawing skills also be sequential. Sharpening and perfecting your drawing skills does require practice, time, and patience. But fortunately, we can often see dramatic improvements in a short time if we take a sequential approach to our practice. So numbones.com want to share with you some tips for improving your drawing skills. But don't expect to be an expert in less than a week, but you should see a clear improvement skill in your drawing after a few time. Spend an hour or two a day to get the most out of this experience. Keep in mind that this is an exercise to practice drawing, just like a math problem, but it's much more fun and interesting. First thing before you start this exercise, make a drawing from observation of an object. You can choose anything you like. But you have to make sure that it's not too simple or too complicated. Do your best and save it. Don't peek until you finish the exercise. Improving your sketching skills will be quite important if you want to become an architect. The basic design elements of 2D art like drawing are presented, this includes the lines, shapes, form, textures, spaces, and colors. The beginners usually learn organizational principles involved in the design of all visual compositions. It is including unity, variation, emphasis, contrast, and balance. The Perception of Light & Shadow. The Perception of the Whole or Gestalt. Tracing is a good exercise to improve your drawing skills. But it's important not to rely too much on that one process. Once you are able to draw a good tracing, get rid of the trace but save the reference image in your hand. Then try drawing the image back without tracing. With this way you will improve your drawing skills as you learn to 'see' the lines in the subject you are drawing. How Long Does it Take to Get Good at Drawing? It makes no sense to be proficient in several skills in just few hundred hours of practice. Whether it's two hour a day or 12 hours a day, depending on how much time and effort you devote to learning this particular skill. There are several studies that say that to become an expert on something can take about 10,000 hours practice, but that also depends on how strong your will to be able to draw better. The more practice that you did, the faster drawing skills that improve. You will not be able to draw better unless you are involved in that effort. The more you draw, the more confident you will be. This is the most important thing if you want to improve any of your skill. Pay attention to your drawing object, whether your object has simple lines drawing or very detailed rendering. You can learn a lot about this from seeing other people's work. How do they use the lines and shapes of an object? Observe, then learn. This might sound a little strange, but think about this, what can you learn by copying Da Vinci or Michaelangelo's sketches? Many. Learn from the masters by copying their work. Don't hesitate to practice often by copying their work, this can help you improve your drawing skills, and they won't mind about that. Most people assume that it is easier to reproduce a two-dimensional image than to reproduce an actual object, person, or environment. When you draw from a photo, make sure to see the edges, shapes, and angles of the photo properly. If you are just starting to learn to draw, choose simple objects first. If you are good enough, you can continue with complex objects. Try drawing people around you, or you can also try drawing your pet. Draw any furniture around you or your living space. Do you like coffee? Try drawing your coffee cup. And the most difficult challenge of this exercise is drawing your hand. Because the hands and feet are the most complex part of the anatomy of the human body. If you can master it, then your drawing skills have improved, and it means you can draw anything. Taking classes will make you responsible. Teachers in class will help you to improve your weaknesses. And watching others draw is very useful for building your own observation skills. If you ask where you found a drawing class, try checking in the extension of your local university, community adult school, YMCA or community college. Another source that you can try is your local art supply store, a place where artists post notifications about drawing meetings, sessions without instructions with models, or personal instructions. That means, always take the sketchbook with you, open it and do it to fill it. This exercise will serve as a reminder to take your pencil or pen, then start drawing. You can also try to join the ranks of Moleskine or Field Notes. Or you can simply take a sketchbook at an office or art supply store near you. This is the most difficult thing, because if you want to improve any skills, you have to be serious about doing it. You need to make strong commitments, including scheduling regular practice time in your week or your day to pursue drawing. To improve the ability of your drawing skills to be better, you need to get used to it. That is a some way to get good at drawing. And I think it's also important to understand why you want or need to draw better. For some people, by drawing they can support their work. And not only that, but also something that gives a lot of fun and relaxation. Some people just enjoy drawing. Some people also need to improve their sketching skills because they want to be the best architecture. There are also those who think that this is the foundation for their paintings and designs, and also for who they are. I find that drawing something or someone can make things or people become more important to me. I began to understand an object when I drew it, I could understand how it was formed and why it formed like that. And that leads to greater perception than anything else. And for those who can't draw a straight line, you also have to know that I can't either. Usually I use a ruler for that. 0 Response to "How to Improve Your Drawing Skills Faster"